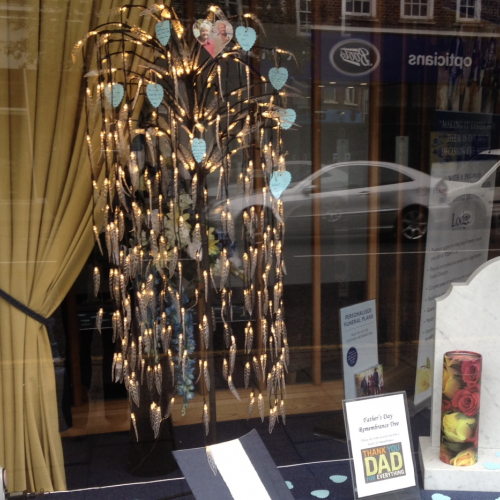 Father’s Day has been marked by Sophie at our Weybridge branch this year. On this day our thoughts inevitable turn to our fathers that are sadly no longer with us and indeed, what they meant to us in our daily lives. As a mark of respect, we have commemorated this day by displaying a special Father’s Day Tree in our window during the days leading up to this occasion. Lots of our families have inscribed a small heart token with a few personal words of love. Gone but never forgotten…..